Product information "Broadcloth Semi Spread Shirt - White - Regular Fit"
The most formal shirt you will ever need. Crisp white poplin and our beloved semi spread collar make for an elegant look. Grey suit and black shadow printed silk tie? Check. Navy suit and burgundy dotted shantung tie? Check. It will be be difficult to find something that looks bad with this shirt. 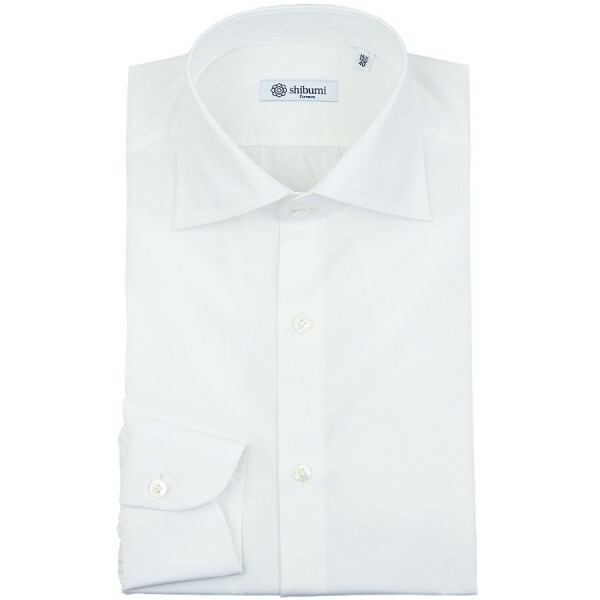 Related links to "Broadcloth Semi Spread Shirt - White - Regular Fit"